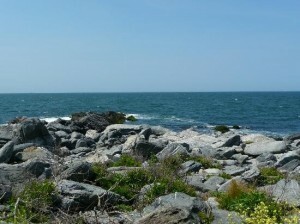 There are a lot of outdoor activities in Newport, RI, including a variety of different scenic walking routes. Most people head straight for Cliff Walk to enjoy the views of rugged cliffs along the water on one side, and the magnificent mansion on the other, however, the Sachuest Point National Wildlife Refuge offers views that are just as grand. Sachuest Point occupies the peninsula between the Sakonnet River and the Rhode Island Sound, just past Second Beach in Middletown, RI. A newly renovated visitors center welcomes you to the 242 acre Wildlife Refuge. There are over 2.5 miles of nature trails with various viewing platforms along the way. This Refuge is popular for saltwater fishing and has the largest winter population of harlequin ducks on the East Coast. The refuge supports over 200 bird species in its saltmarsh and beach strand habitats as well as its upland shrub dominated land. Some notable birds include: peregrine falcons, northern harriers and snowy owls. This land started out as farming land and was later used as a horse racing area. During World War II, the Navy used this land as a communications site and rifle range. 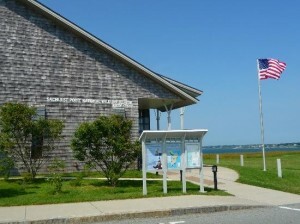 In 1970, the Sachuest Point National Wildlife Refuge was established after a donation from the Audubon Society of Rhode Island.